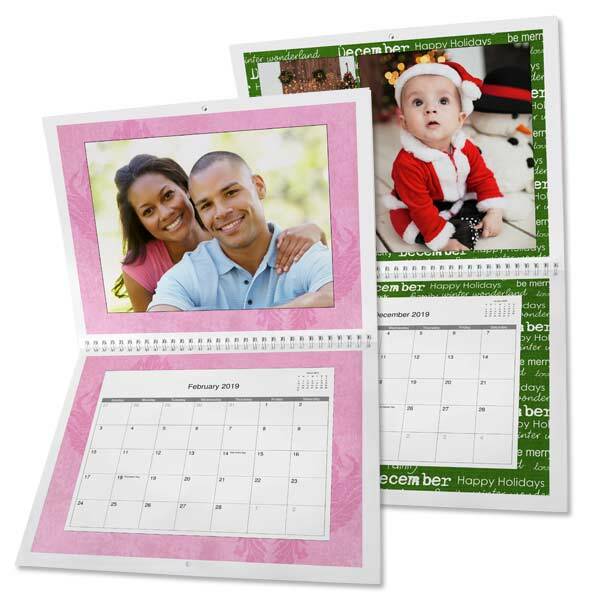 MailPix offers high quality calendar printing with a variety of custom option. Our spiral bound wall calendar can be created with a variety of photo layouts, text, and a large selection of background patterns. Furthermore, you’ll be keeping your memories alive year round. Upload photos from your phone, tablet, or even Facebook. Maybe you have a cute snapshot of the kids or a series of photos from last summer’s vacation. Design each month with a collection of memories to brighten your day, all year long. Make a larger custom wall calendars today for family and friends because they make awesome gifts! 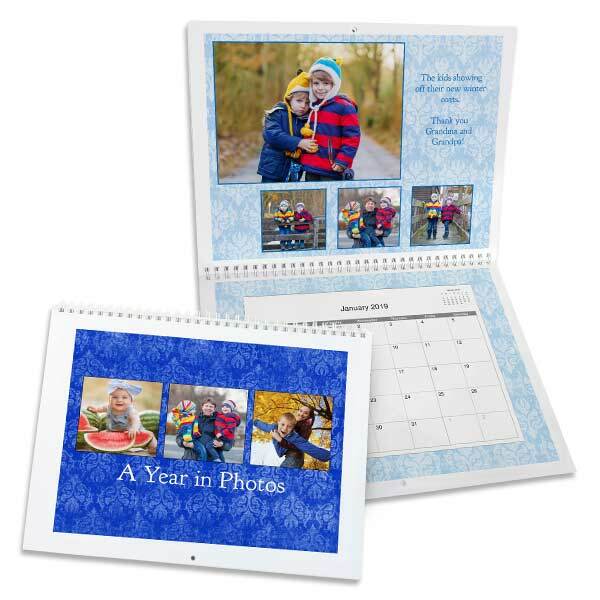 The 12×12 personalized photo calendars are great for Instagram photos! Add Custom Dates to any day of the year!